Cavities form when the plaque that naturally builds up on teeth throughout the day isn’t removed by thorough brushing and flossing. There are actually three types of cavities that can occur as a result of poor oral hygiene — keep reading to learn what they are, and stay on top of your twice annual dental visits to let Long Island City Dental Associates help you prevent tooth decay all year long. 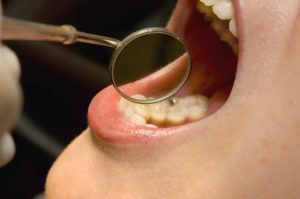 There’s one thing that all cavities share, and that’s the fact that no cavity is a good cavity. Aside from that, there are some differences. These are the three types of cavities that can affect a smile. When gum recession causes the roots of the teeth to become exposed, root decay becomes a real threat to oral health. Older adults are more likely to develop this type of cavity, which occurs right on the roots of the teeth. Root decay isn’t always accompanied by pain, and often requires x-rays to detect. Because this type of decay spreads fast, it’s vital to identify and repair the problem as soon as possible. PIt and fissure decay occurs on those tricky nooks and crannies located in your back molars. It’s a cavity occurring on the tooth’s chewing surface — and if it’s left untreated, it can quickly escalate into a serious problem. Pit and fissure decay can be prevented in children with dental sealants. These are thin coverings painted directly onto the surface of teeth to seal out decay-causing bacteria. The least serious type of decay is smooth-surface, which occurs on the outside surfaces of the teeth when excess plaque is not removed properly. The good news is that when detected early, smooth-surface decay can be treated with fluoride or extra-vigilant brushing and flossing. Remember that the easiest way to avoid the problems associated with tooth decay is to prevent the problem before it even starts with strong oral hygiene habits. That means brushing for two minutes, twice a day, flossing daily and visiting Long Island City Dental Associates twice a year for a dental exam and cleaning. If it’s been more than six months since your last visit, don’t hesitate to contact our office to schedule your appointment. We’re here to help our neighbors maintain healthy, beautiful smiles for years to come — click here to book your appointment today!